he gives her… And even more, she starts to crave him. shot. She thinks he only wants to be friends, but she couldn’t be more wrong. What Harmony and Harlen don’t know is that their time might be cut short. Revenge is in the air, and someone won’t stop until a debt is settled. 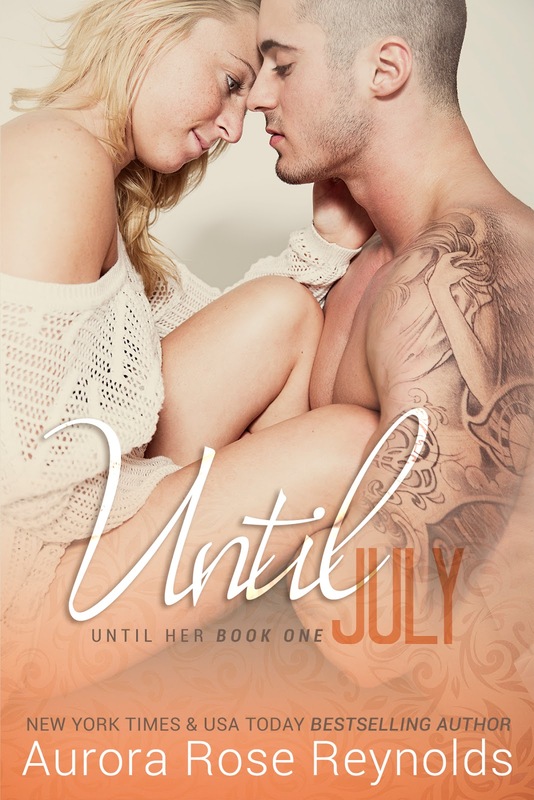 We are now at the 4th book of the Until Her series and we meet up with Harmony and Harlan. Harmony has got dreams and goals in her life and needs a person that can give her everything that she needs and more. Harlan has his secrets that he keeps from Harmony but its because he wants her to love that man that he is, and not his past. Harlan is just like every other alpha male that we can come to expect in this series. He will do anything and everything to keep Harmony safe, especially when there is someone in her life that is threatening it. The only thing that I wish that I saw more of in this book was about Harmony and her background. We already know that she is close to her parents (we gathered that much in Nico’s story) but I would have liked to have seen her perspective of her upbringing. Nico was my favorite of the four boys so I would have loved to have seen more about him and raising his kids with Sophie. What I love the most about these books is that she sets up the next one nicely so that when you begin it, the ground work is already set so you can just dive right into the story. The next one will involve Cobi and Hadley and I have a feeling it might be the best one of the series. 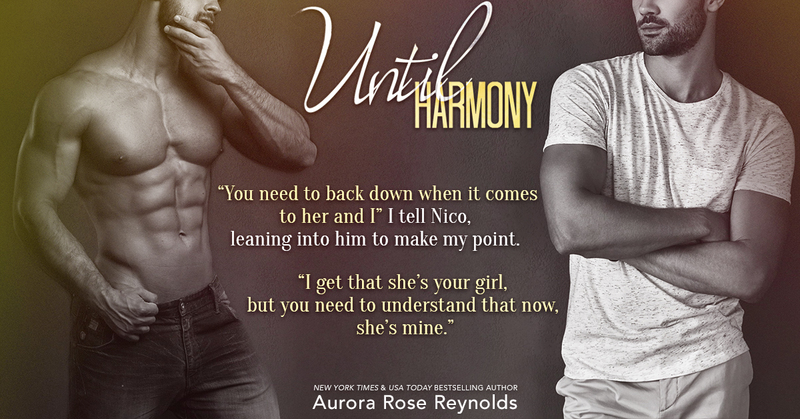 Until Harmony is the newest HIGHLY ANTICIPATED standalone in the Until Her Series by Aurora Rose Reynolds! Harmony Mayson isn’t the kind of girl to take unnecessary risk, but after meeting Harlen MacCabe, she starts to wonder if maybe she should be. 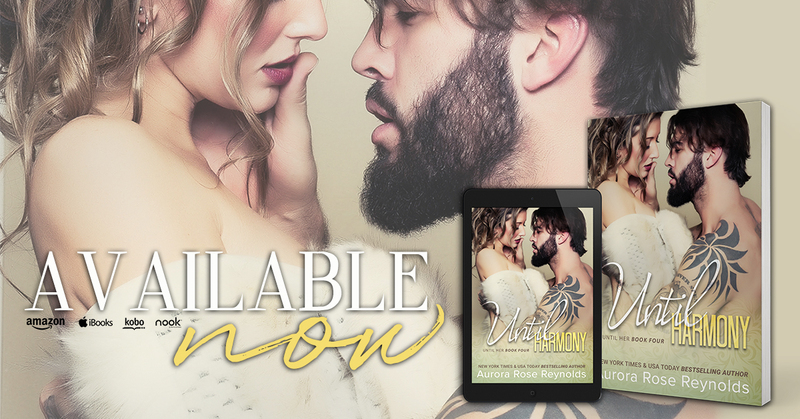 The more time she spends with the wild and free biker, the more she starts to crave the freedom he gives her… And even more, she starts to crave him.